Here's a list of stand-up comedians that strike me as brilliant. 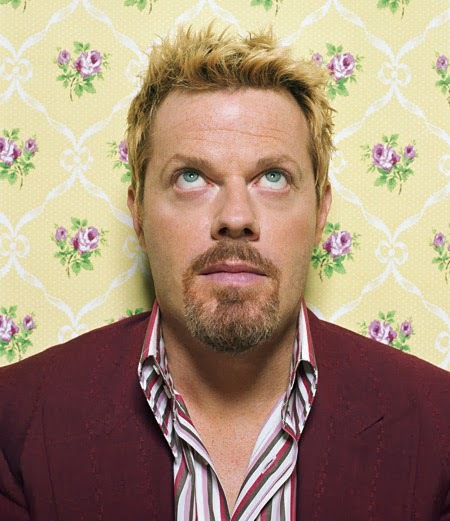 By far, my favorite is Eddie Izzard, a British comedian who does a lot of very intelligent but outlandish material. Jim Gaffigan deserves credit for coming up with a style that's uniquely his own. I just finished reading All Quiet on the Western Front, a book written by a German author who was in WWI. Like many great books, it was impossible to put down, although I can't quite explain why. I'm intrigued that all participating nations in that war could get their populations to fight in that meat-grinder. The book`s horrific description of trench warfare is, from what I've heard, completely accurate. It was also interesting to learn that the book was viciously attacked by the Nazis. Of course, any nation-state (especially, fascist states) are never satisfied with any depiction of war that doesn't resemble a John Wayne movie. With the latest ruling, net neutrality is apparently dead. This is really tragic news since most of us rely on the Internet for virtually all our media these days. Personally, I have no TV and no phone since I've replaced these with Netflix and Skype. All the news I read is on the Internet. So now, companies like Verizon (a sleazy company if there ever was one) can slow access to any website in order to support paying customers and punish competitors. If they don't want you to read this post, they can slow the site down, making it take an hour to load. These days, the ever sleazier ethical standards seem to be infecting everything. I was prompted the other day to update Adobe Flash (which I need to view Netflix and Facebook) and without warning, the program installed some version (a trial version?) of the McAfee virus checker onto my computer. There was no opt out button or choice to install manually and the program never even told me it was doing so. I'd expect this sort of thing from some sleazy shareware site but am shocked to see even mainstream sites using these tactics. Then we have all the latest moves by Google and Facebook to take ownership (and put into commercial use!) content that we put on our sites. I'm really hoping that this leads to a movement to set up wireless servers with their own grid (and higher ethical standards). Latest polls say opinions have changed little about Christie after the latest scandal. My guess is that this just shows that many Republicans don't mind dirty politics if it's done by their party and many Democrats already didn't trust Gov. Christie. The notion that politicians would have no idea of major decisions by those directly under them is ridiculous, so I can't fathom why anyone would continue to support someone like this. Bruce Springsteen and Jimmy Fallon have some fun with this on a recent show.